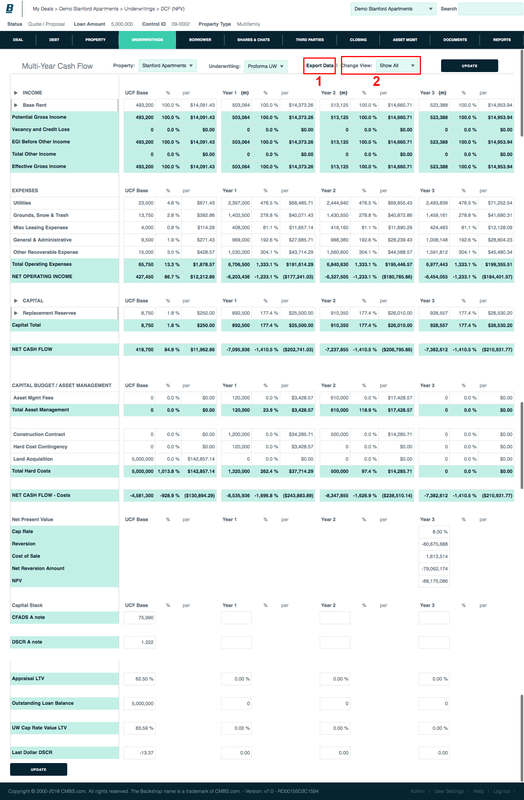 This page shows how to create a “multi” multi year cash flow. 3. Enter the required information. Add more if you like. You can always come back. 1. Income and Capital Assumptions: Grow or adjust from the stabilized cash flow. 2. Absorption: Vacant space will be leased based on the Term. 2. 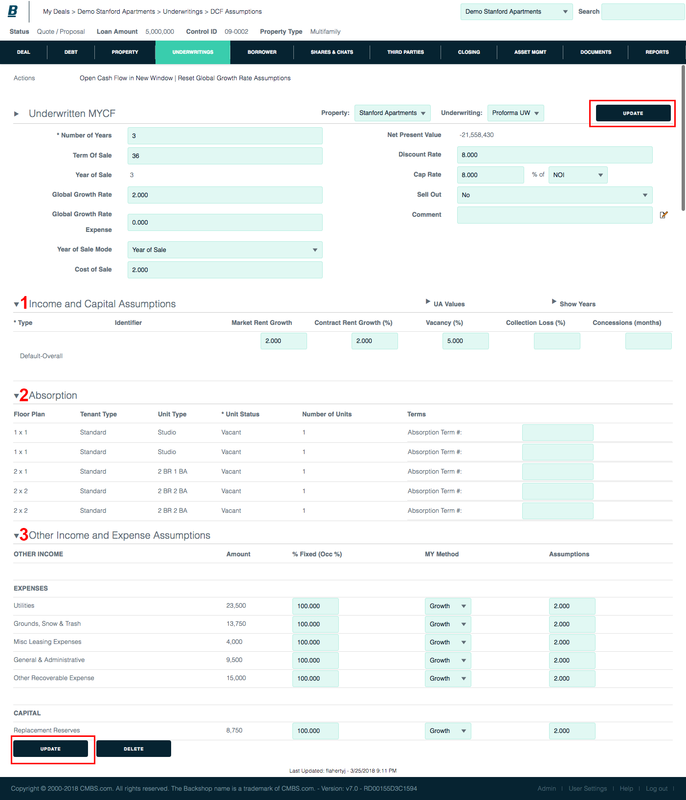 To open the multi year cash flow in a new window, click the Open Cash Flow in New Window button. Ideal for multiple monitors. Here is the “multi” multi year cash flow.